David Roffey lives and works in St.Adolphe, Quebec. He works in oils and watercolours. His subjects include, local and city historic architecture, native birds, wild flowers, landscapes and herbs. 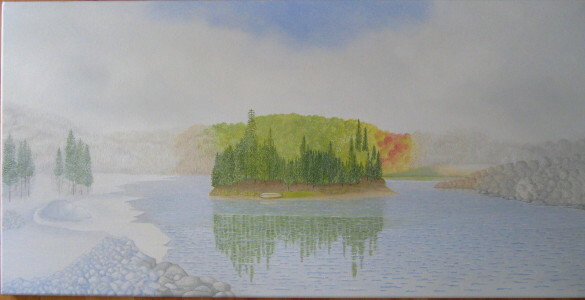 He uses the camera for fine detail in his work and makes many sketches on site for his paintings. David concentrates on light, detail and quiet order in his paintings. He has exhibited in many venues including Scotland, England, USA, Montreal, Halifax, Toronto and Vancouver. His paintings appear in many private collections throughout the world.